Until now, Intel’s NVMe campaign has been focused on the scale-out designs pioneered by big Web-scale operations that tend to be on the cutting edge of growth. Scale-out systems can be simpler and easier to expand than the older scale-up designs. 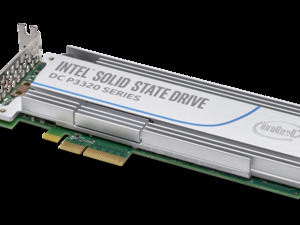 The P3320 and P3520 also are the first SSDs built with Intel’s 3D NAND media, which packs more data into the same amount of space than its earlier forms of flash. 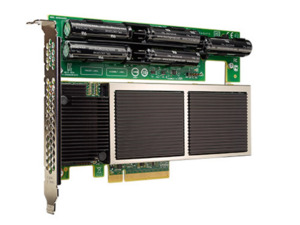 In addition to efficiency, 3D NAND delivers higher performance for jobs like crunching the numbers in that storage. The added speed of the 3D NAND drives can speed up data analytics by more than three times, in the case of the P3320, Intel says. In another move to build up an ecosystem around new technologies, Intel has formed the Storage Builders program, patterned after the Network Builders community that it created several years ago in the communications market. Thursday’s event included the first Storage Builders meeting. The program is designed to facilitate sharing of technology like NVMe so more storage products can work with each other. End customers value that interoperability, especially in the Web-scale world, where the big players refuse to be locked into a specific vendor’s technology, Myers said.